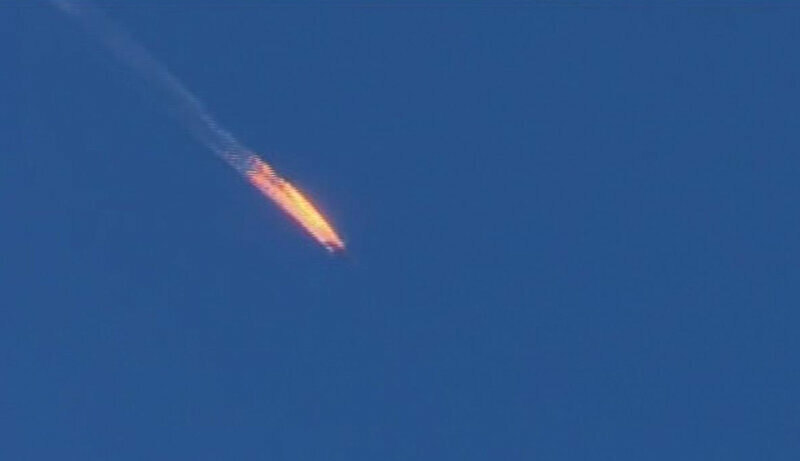 Why Would Turkey Shoot Down A Russian Plane? Let&apos;s start with one thing that&apos;s clear and simple in Syria&apos;s messy war: Many foreign powers are engaged in the battle, and all share the goal of beating back the Islamic State. This very loose grouping includes Turkey and Russia, who aren&apos;t best friends, but at least have this common interest in Syria that would seem to override any inclination to confront one another. Alas, the Syrian conflict is riddled with complications and contradictions. Turkey is adamant about ousting Syrian President Bashar Assad, and it&apos;s upset that Russia has sent in its military to prop up his beleaguered regime. Turkey and Russia have been eyeing each other warily since Russia became an active participant in Syria&apos;s war, and this contributed to the atmosphere of suspicion surrounding Turkey&apos;s downing of a Russian fighter plane. 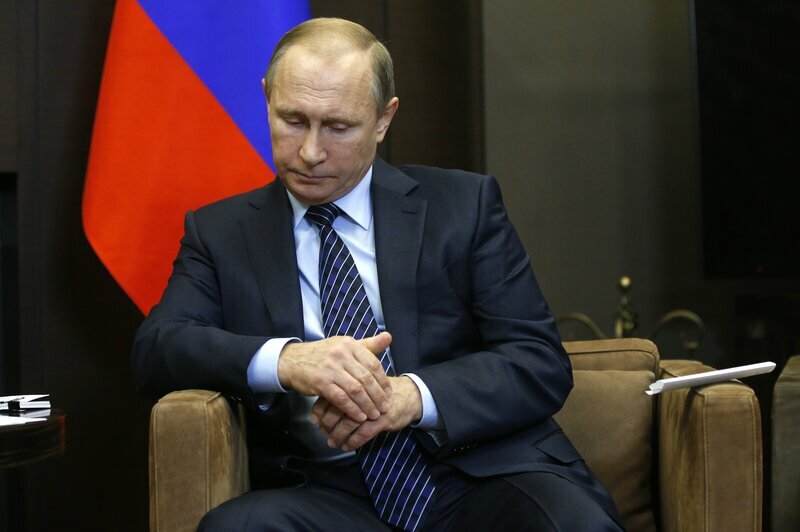 "Today&apos;s loss is a result of a stab in the back," Russia&apos;s visibly angry President Vladimir Putin said. Putin claimed the Russian Sukhoi Su-24 was flying over northwestern Syria, a kilometer from the Turkish border, on a mission to bomb ISIS. Turkey said the Russian fighter was in its airspace and that it issued 10 warnings to the Russian pilots over a five-minute span before an F-16 shot it down with a missile. Tuesday&apos;s episode illustrates why it&apos;s so hard to get all the foreign powers to aim in the same direction in Syria. The U.S., France, Iran, Russia, Turkey, Australia and several Arab states have all entered the fray. Collectively, their firepower far exceeds that possessed by the Islamic State, which is believed to have about 30,000 fighters at most, and no air force. Yet all these outside players have different priorities in Syria. Military coordination has been limited. And in many cases, they are deeply distrustful of one another. The U.S., which says the focus needs to be on defeating the Islamic State, has carried out some 8,000 airstrikes against the group in Syria and Iraq in a little over a year. The U.S. also says it wants Assad to go, but that&apos;s a secondary priority. Turkey, meanwhile, has shouldered a greater burden than any other outside country and has multiple objectives in Syria. Turkey has taken in more than 2 million Syrian refugees and wants to see that tide stopped. Turkey also fears that Kurdish involvement in the fighting in Syria and Iraq is seeping across its border into its own restive Kurdish areas in southeast Turkey. In addition, Russia has undermined Turkish policy by bombing Syrian rebels backed by Turkey. In turn, Russia has consistently backed Assad and his father, Hafez Assad, for more than four decades. Syria is Russia&apos;s only real ally in the Arab world and has allowed Russia to maintain a naval base on Syria&apos;s Mediterranean coast. Russia&apos;s priority is bolstering the Syrian government and protecting its own interests in the country. With warplanes from multiple countries over the skies of Syria, the possibility of an inadvertent confrontation has been an ongoing worry. Turkey has shot down Syrian military aircraft in the past, claiming they strayed into Turkish airspace. The Syrian air force has steered clear of U.S. planes since the Americans started bombing ISIS in September 2014. And the U.S. and the Russians held talks, and even staged a brief joint exercise, in an effort to avoid any mishaps. Russia has now taken two major hits in the past month from opposing sides in the Syrian war. The Islamic State says it blew up a Russian plane full of tourists over Egypt on Oct. 31, and now Turkey has shot down a Russian warplane. The latest episode instantly heightened tensions among the outside powers and will further complicate efforts to coordinate their military actions. "I do not know who benefits from what has happened today," Putin said.